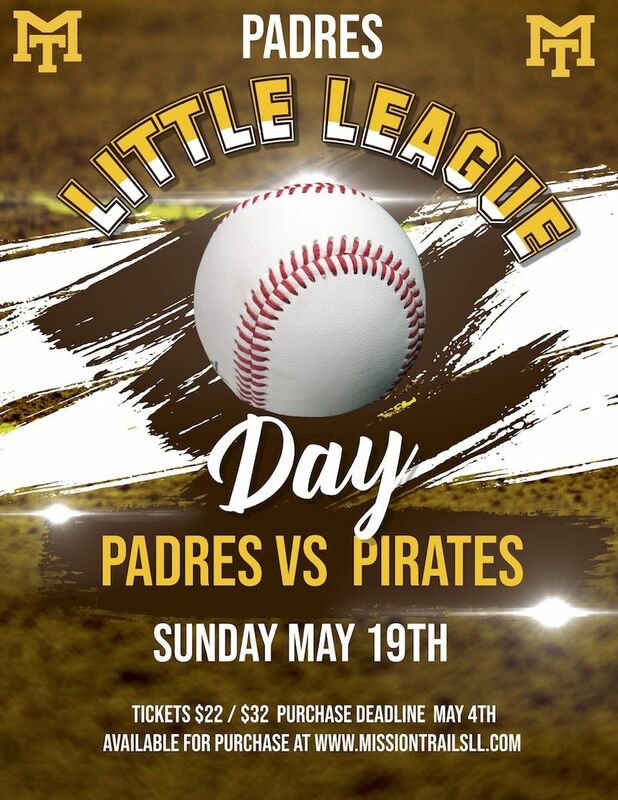 Little League® Day at Petco Park is back for the 2019 season! MTLL has pre-reserved two sections at the ballpark so we can sit together. Please mark your calendar and purchase your tickets here. Special pricing ends May 4.